Viknesh Vijayenthiran May 26, 2011 Comment Now! We’ve seen it in Formula 1 over the years, and Porsche has relatively successfully implanted one in its 911 GT3 R Hybrid race cars, but now Volvo is testing one with an aim to bring it to the world of production cars. 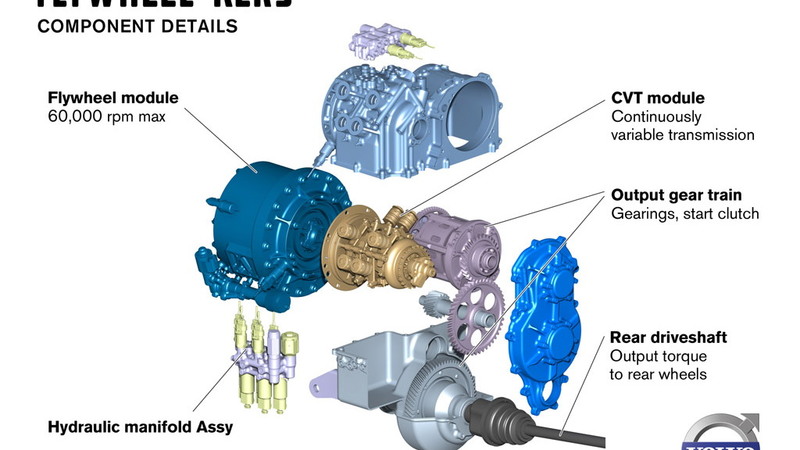 We’re of course talking about a Kinetic Energy Recovery System (KERS), a lightweight and relatively cheap ‘hybrid’ technology that Volvo claims can make a four-cylinder engine feel like a six while at the same time reduce fuel consumption by as much as 20 percent. This fall, Volvo will be one of the world's first automakers to test the potential of flywheel technology on public roads thanks, in part, to a grant from the Swedish Energy Agency. 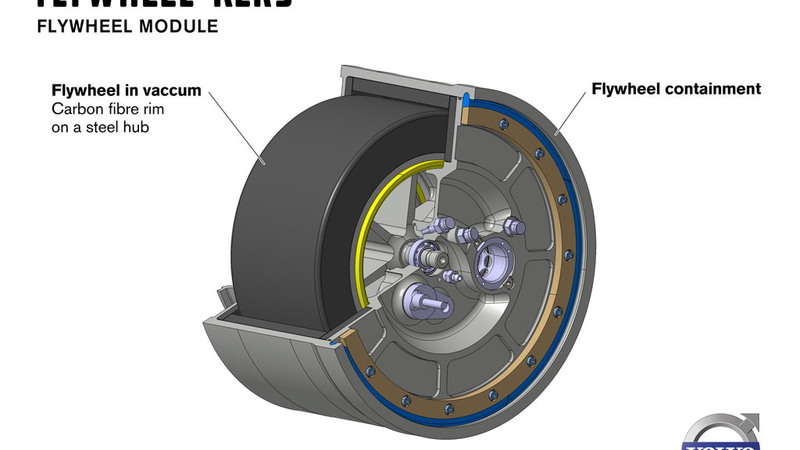 Volvo’s design calls for the flywheel KERS to be fitted to the rear axle of a car. When the driver hits the brakes, the braking energy causes the flywheel to spin at up to 60,000 rpm. When the car starts moving off again, the flywheel's rotation is transferred to the rear wheels via a specially designed transmission. The engine that drives the front wheels is also switched off as soon as the braking begins. This is because the energy in the flywheel is sufficient enough to accelerate the vehicle when it’s time to move off once again. It can also power the vehicle once it reaches cruising speed. We’re talking about a significant amount of energy here. If the energy in the flywheel is combined with the full capacity of the car’s engine, it could give an extra boost of 80 horsepower. 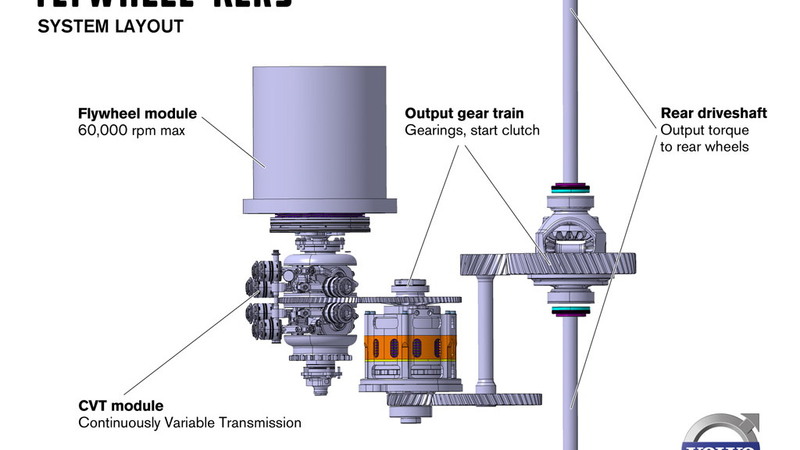 Of course, since the flywheel is activated by braking and the duration of the energy storage--i.e. the length of time the flywheel freely spins--is limited, the technology is at its most effective during stop and start driving in the city. However, Volvo predicts that on a normal drive cycle of mixed city and highway driving, a car’s engine could be turned off about half the time when driving. A unique element of Volvo’s flywheel KERS is carbon fiber construction, which means the actual flywheel weights just 13.2 pounds and has a diameter of just under eight inches. 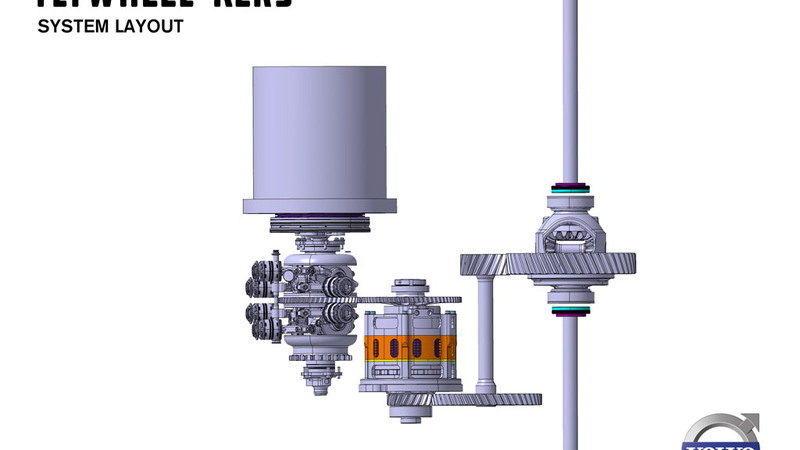 It also spins in a vacuum to minimize frictional losses. 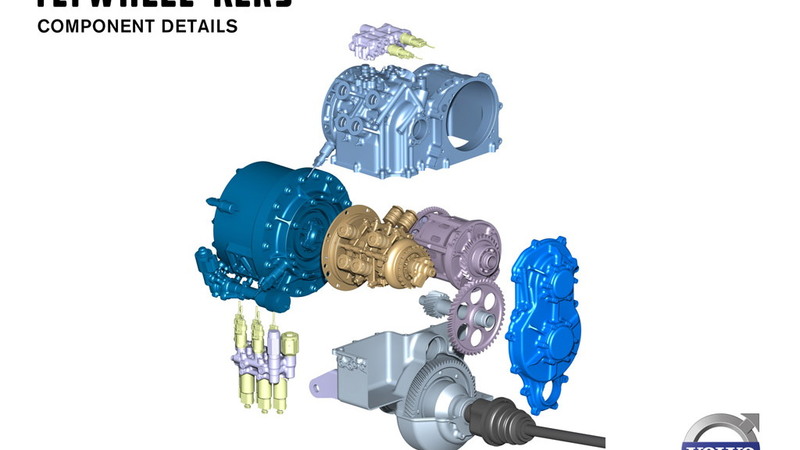 Compared to more conventional hybrid systems with expensive batteries and electronic control modules, the flywheel KERS is a relatively cheap option and could be fitted to most of Volvo’s lineup. If the tests prove successful we could be seeing some form of the system in production cars within a few years. Other automakers believed to be focusing on the technology include BMW and Jaguar.